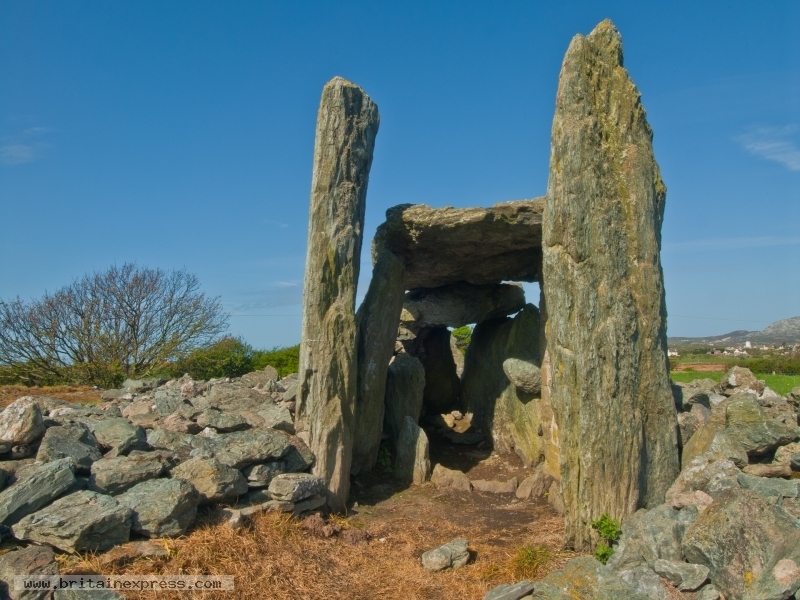 Trefignath Burial Chamber is a prehistoric chambered tomb near Trearddur, on Holy Island, Anglesey. There are two chambers still standing, though this is by far the best preserved of the two. The tomb is rather oddly situated beside a smelting works, and very close to the A55(T) road that links Holy Island to Anglesey.